Python is one of the most versatile and most widely used programming languages in the world. It is extremely popular among programming novices, and it gives you the chance to branch into pretty much any coding field that you want to. Unfortunately, many Python teaching resources are bland and generic. This can make it hard to stick to learning Python for beginners, which is why I have put together this step by step guide teaching you the best way to learn Python. I will start by giving you a brief overview of what the Python programming language is and what it is commonly used for. Then I’ll go onto how to learn Python and what you have to do to get started. I will teach you about the best resources that you can draw on while you’re learning, and I will show you how to keep progressing when you start to plateau out. Good luck, have fun, and I hope you enjoy this guide! Python syntax is simple, which makes it quite easy to use. In fact, some people will argue that the best way to learn Python is to start writing your own programs. Most of the syntax is logical enough to let you start doing this very early on in your coding journey. Most programmers consider Python to be a very easy language to learn. In fact, it is the most commonly taught language in schools throughout the world. 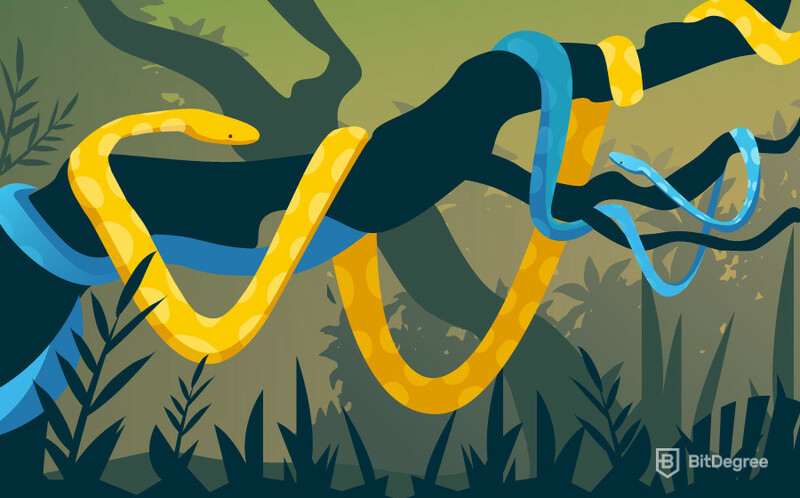 Python is extremely powerful, and you can do pretty much anything with it. If you have dreams of working in one of these fields, then it’s time for you to discover the best way to learn Python! By now you’re probably thinking that this is just another boring, generic tutorial with no substance behind it. Wrong! In fact, I have drawn on years of experience to put this step by step guide together, and I really believe that I’m showing you the best way to learn Python programming. Online courses allow you to work at your own pace, which is perfect for people with full-time jobs and other commitments. The best online courses will cover everything you need to know in a clear, concise manner. Online courses allow you to return to difficult concepts and sections of the course as many times as you like. The Interactive Python Tutorial is a great place to start your journey to master Python programmer. It is simple, it really starts with the basics, and it doesn’t skip over anything. The interactive nature of the course allows you to write code directly in your web browser, and this further enhances the learning process. If you would rather start to learn Python programming through a short introductory course, then you should think about the Learning Python From Scratch Video Course. This course, which contains just under 2 hours of high-quality video content, will teach you everything from basic syntax to more advanced Python concepts. If you’re a brand new programmer with zero coding knowledge, then the best way to learn Python could be through a more in-depth video course which spends more time teaching Python for beginners. The Learn Python Basics course fits this description perfectly. With over 5 hours of excellent video content, it will keep you learning for weeks! *You can skip this step if you have an Apple computer. Apple computers come complete with Python pre-installed. Windows computers don’t. If you need to use Python with Windows, then you will need to download and install it onto your computer. There are two main versions of Python: Python 2 and Python 3. This means that you need to choose the right one for your needs. In most cases, the best thing to do will be to download both versions. A lot of older programs were built with Python 2, which means that they won’t run with Python 3. However, the newer version offers a lot of improvements to the older one, which means that it is the favorable one for people searching for how to learn Python. To install Python on your computer you will need to navigate your way to the Python downloads page. The first thing that you will notice is that there are literally hundreds of different versions available. For the purpose of learning the language and getting familiar with its main syntax, all you need to do is download the latest version. Follow your computer’s prompts and install Python like you would any other program. Congratulations, now you’re ready to move onto the next step! If you’re really serious about finding the best way to learn Python, then you need to bookmark a high-quality reference guide. Reference guides will become one of your most valuable tools through your career as a programmer. The official Python language reference offers clear explanations about syntax, conventions, and programming best practices. It allows you to look up difficult concepts or other things you’re having problems with. When used right, a reference guide like this can dramatically speed up your coding progress. YouTube videos are also great for demystifying difficult programming ideas. Personally, I like to head straight to YouTube when I come across something that I don’t understand. A quick search for the thing that’s giving you trouble will usually turn up a range of different videos on the subject. Choose one which has a high rating and a lot of views. Also, make sure that you subscribe to your favorite learn Python channels to make sure that you’re getting the most out of them! Online coding forums are also a great place to get help when you’re stuck on a concept or idea. I usually head to online forums when I’ve got a block of code that I can’t quite get right. Make a short post with your problem, include the code you’re working on if its relevant, and sit back while someone helps you out! Django – As an open source, free, full-stack web development framework, Django is used by developers throughout the world. It aims to provide developers with everything they need instead of relying on libraries. Flask – Flask is a smaller development framework which is designed to help you create a high-quality web app foundation for your website. It is modular, allowing you to use extensions where necessary. It also includes a range of out of the box features that are both appealing and extremely useful. Pyramid – Pyramid is similar to Django, but it focuses on simplicity and ease of use. It is compatible with applications of any size, making it popular with developers across the world. These are just a few of the most common Python frameworks. You don’t have to learn every feature of all of the most common frameworks while you’re learning Python. Instead, make sure that you’re familiar with them, with what they are used for, and with their main features. By now you should have figured out the best way to learn Python for your needs. You should have a pretty good knowledge of Python basics, and you should be starting to understand how to create your own programs. From here, the best thing to do is to start practicing your coding. Brainstorm ideas for simple Python programs. Write them down, and choose a few that seem interesting and that you think you have the knowledge to create. Start coding your program. Make sure that you test it as you go so that you pick up on mistakes before they become major problems. You might find it helpful to start by writing a short plan detailing the steps you need to take to write your program. Once you’ve completed your program, go through it and make sure that you have comments explaining what you’ve done and why. Post your code on an online forum, and ask people to critique it for you. Your first program won’t be anything special. Expect a lot of negative feedback, but make sure that you take note of this feedback and use it to improve your next program. Make sure that you include a crash course on common Python error codes in your learning. In my opinion, understanding error codes is a major part of the best way to learn Python. If you don’t know what a particular error means or how to fix it, then you won’t be able to effectively troubleshoot your code. If you haven’t learned about common Python errors yet, I would recommend going away and spending at least a few hours of study familiarizing yourself with them. Head over to the Python website for a full list of error types and how they can be solved. Remember, if you can’t find the answer to something on your own make sure that you post it to a forum. Someone will be able to help you! I’ve found that downloading and working through someone else’s code is definitely part of the best way to learn Python. I like to head to a website like GitHub and find some open source code that looks interesting. Download the code file, open it in your code or text editor, and work through it slowly. Make sure that you understand all of the syntax and what each line of code does. Take notes if you need to, and make improvements if you can. Another great way to learn new Python skills is to help other people. Head to your favorite coding forum and find someone asking for help with their code. If you can, try and help them solve their problems and work through any issues. Doing this will help you become a better long-term coder, and will help you improve your problem-solving skills. Coding challenges are fun, engaging, and they force you to think outside the box. A quick Google search will reveal a variety of websites offering coding challenges. In most cases, you will be provided with detailed instructions and will be required to create a program that does the desired things. Learning a new programming language can be difficult. 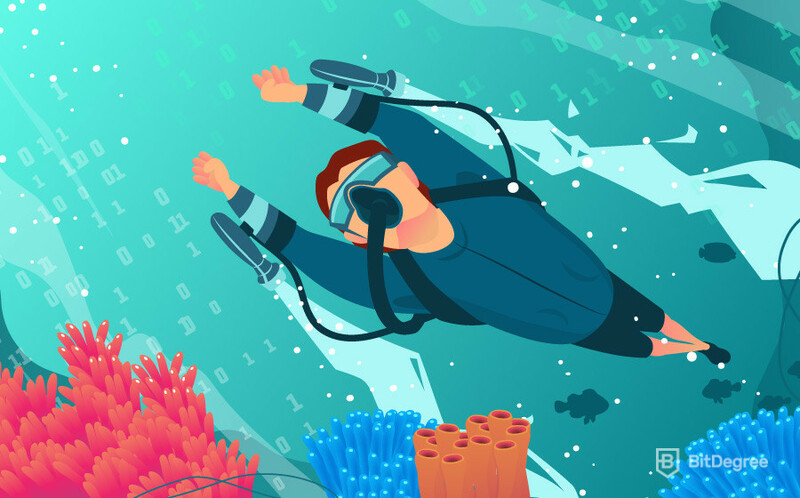 However, this step-by-step guide has been carefully designed to help you discover the best way to learn Python for your needs. I’ve answered questions related to ‘how to learn python’, we’ve looked at some of my favorite resources and learning methods. Finally, I’ve introduced you to some of the best ways to fast track your learning progress. In fact, I think this guide has outlined the best way to learn Python in the fastest way possible. Start by doing some research about Python, what it is, and what you can do with it. Enroll in an online course that teaches Python basics, and work through it until you’re comfortable with the major syntax and concepts. Discover other resources – such as reference guides and videos – and learn how to use them to maximum effect. Learn about error codes and frameworks, and then start creating your own simple programs. Remember to practice as often as you can, and to focus on learning new things every single time you write code with Python. Above all, remember to have fun coding! What is the Computer Programmer Salary? Computer Science Salary – How Much do Computer Scientists Make? Web Developer Salary – How Much Do Web Developers Make? Best Way to Learn Java: Where to Start?